Making a berry mix with raspberries, blackberries, and blueberries is a wonderful way to enjoy the benefits, and you can even add some strawberries for good measure, although they are not as fiber-filled they will improve the taste. 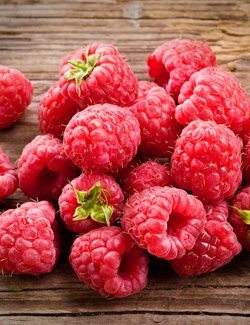 Tips for eating more: The beauty of raspberries is that they’re very easy to pop as a snack, and their sweet tartness will surely get your taste buds going. They work best in a fruit salad mixed with other berries, all of which will contain various amounts of fiber to help the cause. Prunes are notorious for helping to keep you regular, so it’s no surprise to find them ranking highly on our list of high-fiber foods. 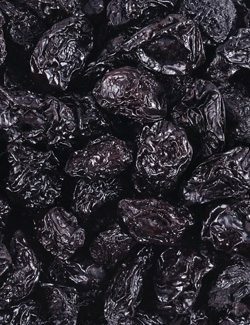 What you may be surprised to learn is that prunes are not just a source of fiber, they have a lot to offer. Prunes also provide a boatload of potassium, as well as vitamins and minerals your body needs replenished each day. This makes them a great choice to keep around each day, not only to give you head start on your fiber intake, but for everything else they provide. Stick with whole prunes rather than going with prune juice. You’ll get more fiber in the whole form, and less added sugar. Tips for eating more: You may not fancy the idea of sitting down and eating prune after prune to meet your fiber needs, and the good news is you don’t have to. They can be used in lieu of raisins in all sorts of recipes, just be sure to cut them up into raisin-sized pieces and you’re good to go. Corn provides plenty of fiber, and is often used as a side dish next to chicken, beef, or pork. This is a good combination because not only does it serve as the carbohydrate for the meal, it helps to digest and the meat and help it through the body. 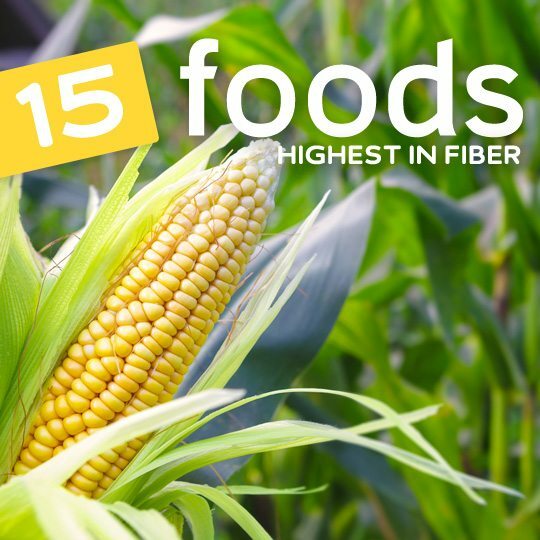 If you’ve ever eaten too much corn in one sitting, you’ll know from experience that it has no trouble making its way through the digestive system. A serving of corn will provide you with just about a third of what you’ll need for the day, making it easy to come up with the other two thirds and be all set. Always choose organic corn so you know it’s not loaded with GMOs the way all conventionally grown corn is. 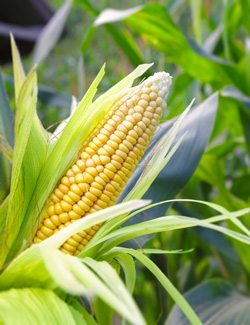 Tips for eating more: Corn is nice to eat all by itself via corn on the cob, but it’s also at home in soups and chowders, as well as finding its way into corn bread or corn pancakes. Whole wheat bread is not only a better source of protein than white bread, it has some additional benefits to it that make it worth eating as part of a healthy diet. Opting for whole wheat bread means you’re also getting protein, which means you can simultaneously help yourself reach both your fiber and protein goals for the day. That’s really what healthy eating is all about, taking in foods that provide more than one benefit to the body. Many popular diets these days are moving away from grains, claiming that they are not part of the natural human diet and were only introduced when we started farming and cultivating crops. However, numerous studies have shown that grains can be beneficial to the body as long as you are not sensitive to gluten and use them as part of a balanced diet. Tips for eating more: Whole wheat bread should replace white bread in your home or when eating out, not only for the extra fiber it contains, but also because it has fewer calories and carbohydrates. Similar to whole wheat bread, whole wheat pasta also provides more fiber than its traditional counterpart. It may take a little while to get used to the taste and texture of whole wheat pasta, as it’s a bit different from the pasta you have come to know. But the health benefits are worth it, even just taking into account the increased fiber. Pasta has gotten the reputation as being too high in carbohydrates and adding to weight gain, and was vilified during the low-carb diet craze. 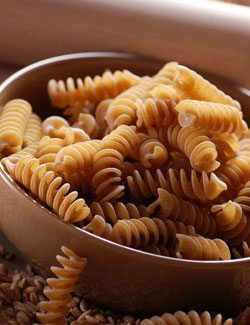 But whole wheat pasta can be used as part of a healthy diet, as not only does it contain more fiber, but also more in the way of nutrients. It undergoes less processing than regular pasta, making it a more natural choice. Tips for eating more: Whole wheat pasta can substituted for traditional pasta in any pasta recipe to instantly make it healthier, as it lends a similar texture while providing more fiber and more nutrients. In addition to being one of the foods high in fiber, broccoli is also a fantastic source of important vitamins, and even protein. It’s one of the best foods you can eat to improve your overall wellbeing and the functioning of your body. As far as a fiber source goes, broccoli has managed to make the top 10, so it’s not surprising that fiber is one reason it makes so many healthy food lists. It’s also full of vitamins and minerals, including more Vitamin C per ounce than an orange. The overall nutritional makeup of broccoli makes it a worthwhile vegetable to add to your regular menu. It’s no accident that broccoli is considered a healthy food, and modern research only confirms what we’ve instinctively known for years. 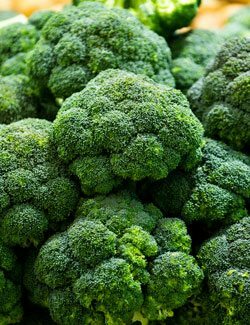 Tips for eating more: Broccoli is a pretty easy vegetable to eat more of because it can be served up all by itself, and because it mixes well with other vegetables, and is also often used as part of a main dish. Don’t like the taste? Seek out casseroles that include broccoli and it will be lost in the shuffle, but you’ll still get the fiber. Quinoa is not only a fiber-rich food, it’s also filled with vitamins and minerals that have placed it in the news and mainstream consciousness in recent years. All of the fuss over quinoa is justified. 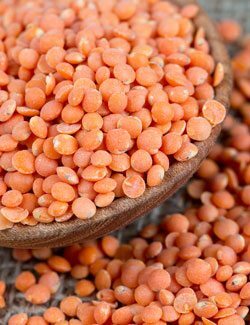 It contains more fiber than rice, more protein than couscous, and rivals popular vegetables like broccoli in terms of its fiber content. It’s easy to make and tends to take on the flavor of what you cook with it. 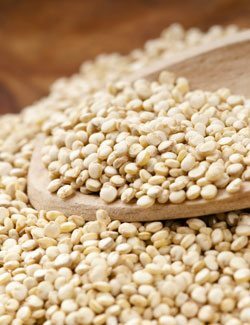 Quinoa is a good source of protein as well as fiber, and the minerals it contains is also impressive. For example, it is a good source of magnesium and iron, two essential minerals your body needs each day. Tips for eating more: The great feature of quinoa is how many ways you can use it. 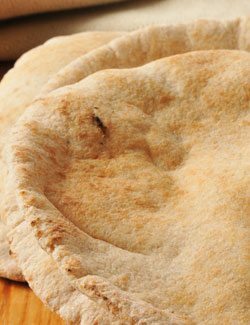 Because of its small size it disappears into soups, and works great at giving a healthy fiber-filled crust to other foods. You can also serve it up as a replacement for rice and couscous that has far more fiber, protein, and other minerals. Brussels sprouts pack a good amount of fiber into such a small package. They’ll give you a tenth of what you need for the day in a 100 gram serving. 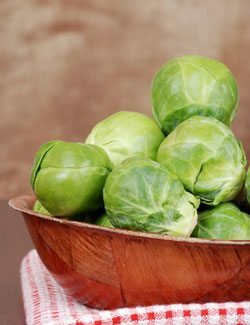 Brussel sprouts will load you up on Vitamin C at the same time they are helping you meet your fiber needs. 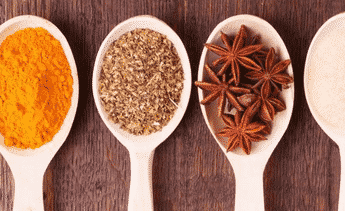 This means you’ll not only be treating your digestive system right, you’ll be boosting your immune system, and since all of our systems are connected, it will provide a compounded effect to your good health. Cruciferous vegetables are all over this list because being high in fiber is just one of their characteristics. 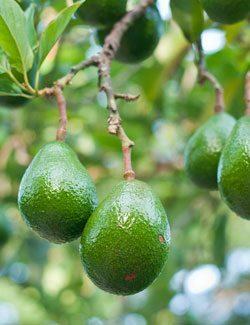 They’re often connected with anti-cancer research due to their combination of fiber, antioxidants, and minerals. It’s good to become familiar with them and try to eat one veggie from this family each day for variety. Tips for eating more: Brussels sprouts can be grilled up during the spring and summer as a healthy addition to your other barbecue fare. When seasoned well with salt, pepper, garlic powder, or even cayenne pepper if you like things spicy, they are a veggie that you’re sure to enjoy. Winding down our list of fiber foods is sweet potatoes, which provides you with a big contribution to your overall daily fiber needs, and makes a great side dish or foundation for a well-rounded meal. Compared to their white counterparts, sweet potatoes are less starchy and are digested more slowly by the body, helping to balance blood sugar levels and keep you feeling satisfied longer. 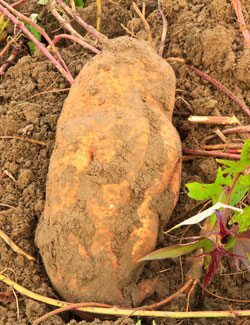 Sweet potatoes are a good source of beta-Carotene which is apparent from their bright orange color. This is a powerful antioxidant that is often linked to eyesight, but can also help you avoid cancer and heart disease. Tips for eating more: Baking sweet potatoes is one of the easiest and tastiest ways to start eating more of them. 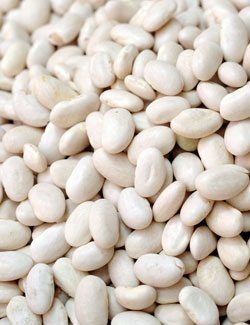 They can be used as a great foundation for anything you might want to place on top of them, and they can replace baked potatoes if you’re looking for more fiber in your diet. Cabbage is a vegetable that is often regarded for its fiber content, and used by those looking to lose weight as a sort of magic bullet for weight loss. And while it does contain a respectable amount of fiber, it’s also regarded as an anti-cancer food which makes it all the more important for a healthy lifestyle. Don’t rely on cabbage alone, as that can get boring and make you less likely to stick with healthy eating. 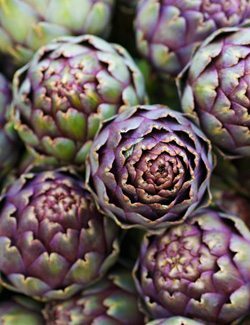 There are plenty of cruciferous vegetables that provide similar benefits and taste different to keep your palate interested. 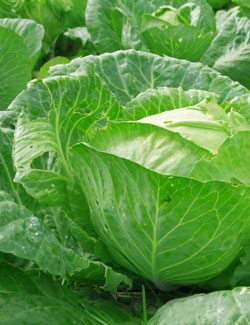 Tips for eating more: Cabbage can be a tricky vegetable to work with because it needs to be well-cooked for it to be properly digested. However, its thin layers make it a prime suspect for getting scorched in the oven, or overdone to the point of being inedible. The best way we’ve found is to make a soup out of it, and store up the extra to be served up over the week ahead. 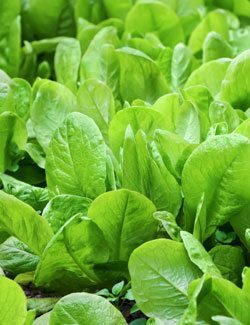 Surprised to find spinach ranking lowest on our list? So were we! But just because it isn’t highly ranked doesn’t mean it is a slouch in the fiber department. After all, a 100g serving gives you a tenth of the fiber you need for the day, so it’s starting you off on the right foot. Rather than focus on the top 5 foods and think that you have to eat those in order to meet your needs, it’s better to take the approach of eating a variety of foods with decent amounts of fiber, rather than relying on one food or a few foods to do the trick. The bonus of eating spinach to improve your fiber numbers is that you’re also getting plenty of antioxidants in the form of phytonutrients, as well as minerals like iron and magnesium. You simply can’t go wrong by eating more spinach. Tips for eating more: Buy fresh organic spinach and add it to everything. Any meal can benefit by starting off with a salad made with spinach as the base. Any smoothie can be improved by adding a handful of spinach. The same goes for a soup as well. It’s one of the easier foods to increase consumption.